better. parts.faster. www.indextraub.com info@indextraub.com We've got the answers. n Smartest process for best results − quality and profitability. n Unrivalled applications engineering depth. n Factory-trained service nationwide. n Friendly financing to reduce your monthly costs. n Superior performance, accuracy, and output. We'll prove it. 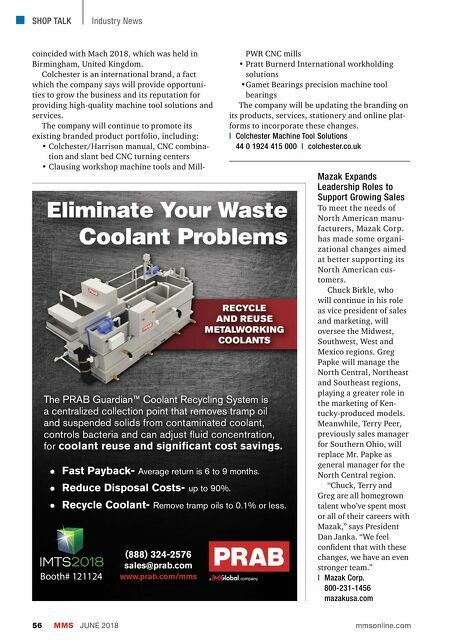 The cost reductions we can bring to your operation are what you need to succeed. Partner with INDEX today and launch your profitable future. 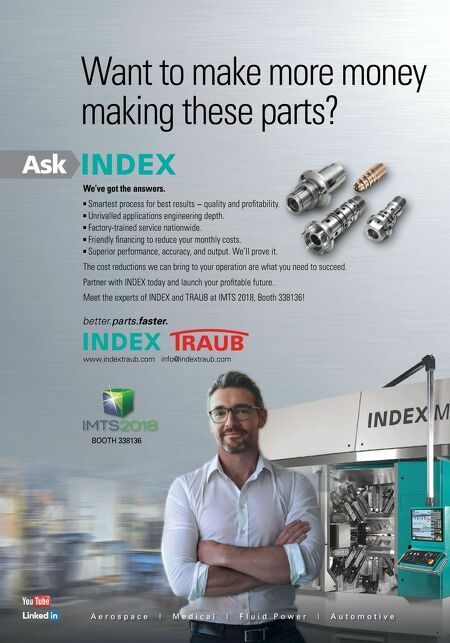 Meet the experts of INDEX and TRAUB at IMTS 2018, Booth 338136! A e r o s p a c e | M e d i c a l | F l u i d P o w e r | A u t o m o t i v e Ask BOOTH 338136 Want to make more money making these parts?